Entering the Green Belt Relay is quite a commitment for you and your team, but you will be rewarded with an unforgettable weekend of racing and travelling. See the photo gallery for an idea of what it's like. See the race origins for some of the history of the race since its start in 1995. 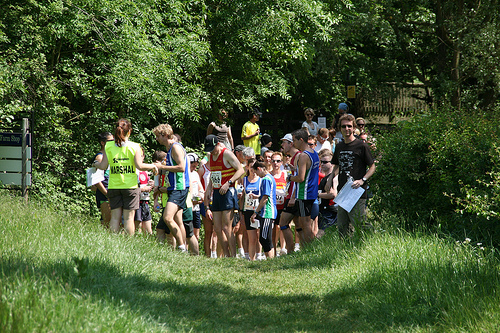 See the race safety page for information about safety, marshalling etc. We will also award prizes for the second placed team in each of the above categories. 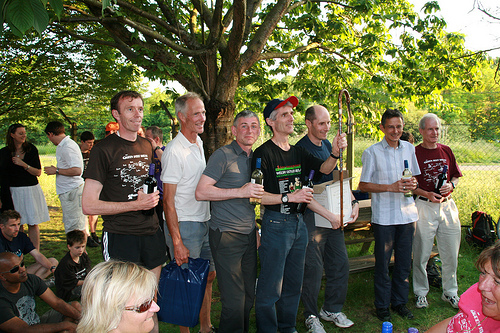 King & Queen of the Mountains - Team prizes will be awarded to the lowest cumulative time of five men and five women, in any team, over stages 4, 5, 16, 18 and 19. We have previously awarded "The Wissahickon Trophy", donated by Wissahickon Wanderers and awarded to the most supportive teams. That is now full and has been retired, and replaced with an award to each club captain. We have also previously awarded the Corporate Prize, which has been awarded to British Airways in perpetuity after many years of dominating this category.